I think the all-time best Mauritian player is Tony François!! et aussi Orwin Castel a evolue en D1 Sud Afs. Sinon ds le championnat local il y a Jonathan Ernest qui etait suivi par Bastia et Kris Etowar par le FC Nantes. C’est le Curepipe Starlight qui compte le plus grand nombre de supporteurs. Thanks Baba for those info. I’ll wait for some additional comments and then forward everything to Piotr Chmielewski. we have a football federation in Mauritius? Maybe it might just have website where you can get all the informaiton you are looking for? League updates, top scorers, national team info, next fixtures? Gavin heeroo l’ex de crystal palace est aujourd’hui en 7eme division britannique a Chelmsford City F.C. Arasen Ragaven playing for Sénart-Moissy in France CFA…he was recruited i think in this season. Im a GREAT FOOTBALL FAN AND MAN UTD FAN…but i wuld still love to see my country or any club in mauritius to perform well in african competitions…i think Mauritoan football needs international expertise. they need to advance their level of football. i thk its a must to have a “DTN” from abroad. Morever there is a young maurtian..Toshan gunness playing for Toronto Croatian in Canada. Still 17yrs old. WE NEED OUR MAURITIAN PLAYER S T PLAY IN HIGHER LEVEL…ABROAD IN ORDER TO LEVEL UP OUR NATIONAL TEEM FOOTBALL…z local players will do z same…. Thanks for your input, Poborsky-Mauricien. A journalist from South Africa has come across this blog entry and would like to write an article on Mauritians having previously played in that country. As you two seem very knowledgeable about football in Mauritius, he would like to exchange some emails with you. I have just come across about this blog couse I was surching for mauritians football league, but sorry AVINASH! we Tanzanian we are planning to be the number one in group as we are expecting to beat cameroon here in Dar es Salaam(a city with 4 million people) in our national stadium with capacity of 60,000 definately we’ll beat both Mauritians and Cape verde home and away. ‘am a Tanzaniional by a citizen and am expecting to come in your country letter this year for my MSc in ICT thats why am so interested in mauritians football course am number one fun in this game. congratulations! nice game with Tanzania, victory was very close but still draw on their ground is very good result! this is article that I wrote with your help, thanks again! The next match against Cameroon will be something else altogether. Kabir Jeetoo is currently playing for Protec Footabll academy. He also featured in Skysports Soccer AM Skool Skills. hey khaleed…hmm…a mauritian….how u knw him man? he is playing in which postion? Is he good? a talent? maybe u can get a video for him…? wat say? The Trouble with Mauritian football is that they keep employing the same coach/managers over and over again!! Its about time the FA and that so called sports minister out there pull their fingers out and invest some of that millions of rupees that’s being made by the tourist industries to employee a good experience foreign coach/manager instead of selling the land off to build more pointless hotels which is killing the environment of our little Island. I am a massive fan of Mauritian football (and pay attention to African football too), I have seen the country go down lately, for example that trashing we took last year by Seychelles 7-0 in the IOG, what a joke!! It also doesn’t help when the whole country would rather watch and SUPPORT overseas teams rather than their own (I agree with you about Barnsley). This doesn’t help by showing live Premiership football sometimes up to 3 times a week, they should be concentrating on showing its own league. There are plenty of skillful players in the uk who are wiiling to play for mauritius national team. YA arassen ragaven et jonathan bru qui sont bien. mai on entend plu parler du dernier!.. mai on sonquiete po, ya marc collat qui est arriver lol.. If we could get our best players in some european clubs or atleast south african..our national team will benefit a lot a lot. MAURITIUS LACKS BUILD UP PLAY…..OUR PLAYERS LACK BALL CONTROL TECHNIQUE-WE STILL AS IF WE ARE IN THE STREETS-I CANT SAY ABT FINISHING COZ OUR LOCAL CLUBS DNT HAV ANY FINISH AT ALL…for e.g vs AS ADEMA….we are at home…we should dominate atleast but we sounded away from home..lol…well..we ended 1-1…come on… to be frank…our local guys are just a bit below semi pro level. we hav the determination and strong will but we lack the build up play and the finish. Our football is not “clean”. I do have some hope on guys like ragaven,pithiah,andy sophie, ernest. they are good players. 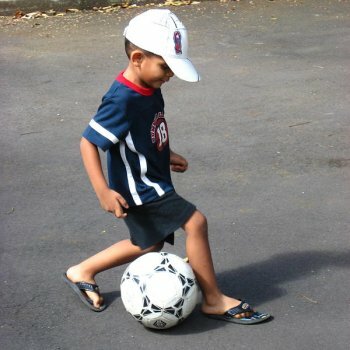 well i heard benfica signs a wonderkid…..a mauritian one age i thk arnd 10 or 11 smthg like dat..hmmm…we mauritians too have two legs lol… all glories to man utd!!! We simply have to select the best 11 Mauritian players… Whether they are playing abroad or not is immaterial. Football is dead in Mauritius you say? (gerald) Play with players abroad you say? So who will pay for all their bills such as hotels, flights, accommodations, Football wages to their clubs whilst their are away, their International football salaries? YOU? didn’t think so….we should nature our young players in Mauritius from under 10’s to under 23’s have teams at all levels, then may be we can win a few games…local people like YOU should be watching and supporting your local teams so that the money can go in and fund these schemes….with negative attitudes like yours no wonder football is dead in Mauritius! Support you local teams, not Liverpool, Manchester United, Chelsea etc….why support teams that are 9755km away from Mauritius, teams that you will never get to see in your life time! How sad is that? I don’t think I’ve a negative attitude against local football. In fact, I go to some football matches from time to time (and a lot of internationals too.) The thing is that football teams in Mauritius have failed to generate a pool of local supporters IMHO. Maybe this requires a bit of time. What I do know is that Mauritians love football and would be happy to support local teams… if they are made aware of those teams. I fail to understand your logic about supporting teams from abroad. As far as I know, one can support many teams at the same time. I would be perfectly capable of supporting Liverpool and, say, the Quatre-Bornes team except that I don’t know anything about the Quatre-Bornes team. Like I’ve written above, it’s high time local teams get their communication strategy right. no no….. the FA gives a lot of money to local teams in mauritius..u shuld agree wiz me…. it is wiz this money that they must create their fan club.. i must call all the young guys in a locality for instance..talk to them…make them understant dat they should support their local team. this is how a business works….im not saying making sport a business…its just a source of financial help..excluding grants from gvt. it will a be a plus..this is how a team is formed. if we got finance…our players will be more motivated in some sense..on top of dat…we gona hav supporters…it gona be lively…leading to a development in the level of football. guys who dnt want to see a buch of thousand people or more watching u playing football or even a staduim half packed just to start. its almost half way done. but one thg….. local clubs do get big money from gvt… and most of them dnt use them the way it should. this is mauritius in some sense. I WILL SAY MORE AND MORE….. WE CANT RELY ON LOCAL GUYS NOW..WE SHOULD GET INTERNATIONAL EXPERTISE. MARC COLLAT IS GONE…Y??? THERE MUST BE A REASON. NEVERMIND BRING ANOTHER GUY WHO EXPERIENCE HIGH LEVEL OF FOOTBALL….BIG EXPERIENCE… WE SHOULD BRING DAT TOUCH IN THE MANAGEMENT LEVEL. we cant rely on local guys. really… football in mauritius is not properly handled. everbody got their own mind set. clash of ideas. nthg management in them. Glad you watch and support your local teams and the national team Avinash, but my statement was not towards you but to Gerald. I personally think that Mauritians are very well aware of their local teams; they just can’t be bothered to go and watch them but would rather watch foreign football, again Premiership, La Liga etc. I mean I live in the UK and I know all about Mauritian football, how? Because I take notice of it, I research and try my best to keep in touch. To be fair the MFA are as much to blame for this down turn. I have visited them a few times; they seem very unorganized and do not know much about their own neighbors abilities in Africa. I mean they do not even have an official shirt sponsor, how hard can that be to get? As for my logic of supporting teams from abroad you say, yes one can support many teams at the same times, you can support a million teams if you wish, but how can you make people take you seriously, what do you do when you watch the football results, cheer for every team you support? For example here you will never hear the British saying; I support Barcelona, Real Madrid, Inter, Milan etc. They will support ONE team either their local team or a team in England whether that’s North, East, South or West and they will stick to it till they die, even if the team get relegated to the non-league….now that’s loyalty! How can you support a team and say you support others? So you are from Quatre Bornes right? So why not support one of the local teams there, like AS Quatre Bornes or Sodnac QB, why support both? When they play each other who will you cheer for, both? Get my point? Why should the local teams in Mauritius get their communication strategy right? Can’t people in Mauritius get off their backside and go to their local ground and support their teams? You all know where they play; you know their fixtures, what’s the problem? May be the problem could be that they expect quality football like the Premiership, but with out the support, how can the players play like that? How can you expect to play quality football in front of 20 people? Even if you had 500 at local games, watch the difference it will make on the players performance. People should support their local teams, even if they are rubbish, who cares? Show loyalty and faith in them and in time you will see improvements. Things don’t happen over night, it takes time, decades sometimes, but we must have patience, then you will all see results. Anyway dude keep at it and spread the good word, word of mouth goes a long way you know. Who knows one day when I come to Mauritius may be we can go to a few matches there and if I’m lucky enough watch the national team and cheer on the reds!! My name is Sebastian Folikwei, I am an 18 years footballer from the republic of Ghana.I play as a winger and an attacking midfielder for a club name Bethel fc in the 2nd division vying for promotion into the 1st divison. The aim of this comment is that. I am seeking to join a forein club for trials and possibly signing. I believe strongly that i can launch my career in Mauritius. But am having difficulties in contacting the clubs in the country. I would be very glad if I can get help to get intouch with a club and getting a trial possibly. I dnt hav any contact with any mauritian club but i do follow closely the football… I would advice to think well before joining any mauritian club or any other team abroad. The level of football in mauritius is quite good.. i say…. semi-pro . Trying to re launch football here coz its quite in a slump nowadays but responsible parties are quite serious about giving mauritian football full support but there a prob that they are trying to limit foreign player signing in the local teams here. I guess it wil be good for you to come and do some trials and y not u might be really good player here. Maybe you should contact the FA association here. U may send ur video of ur recent game just to give them a better idea. Hey an advice…. try elsewhere…. for the time being. This is what I would advise too. The state of football here is not really nice. Try your luck elsewhere… Maybe Reunion if you want to stay in the region. As a matter of fact, a lot of the best Mauritian footballers play in Reunion. My name is Andrew Louise & i am planning to move to Mauritius in about 6 months. I was born in England but both my parents are Mauritian, and i hold dual nationality of British & Mauritian. I currently play semi-pro in England in the Zameretto Southern league. I was wondering what the Mauritian 1st division standard is like in comparison to english leagues. If anyone can shed some light i would be very grateful? Also does anyone know if players at Mauritian 1st division clubs get paid, and if yes roughly how much? As i am a keen footballer & would like to play football when i come to Mauritius regardless of getting paid or not. Like Sebastian in the post above i am trying to contact Mauritian clubs to arrange a trial but it is proving difficult. If anyone has any contacts it would be much appreciated. Who can help Andrew to arrange for a trial? Akbar patel is a very good coach but mauritian coaches tend to select only the players they know,they don’t seem to look at other local talents.For example there are players in mtius namely Frederic chavry,bruno ravina,thierry collet,tomy sanhoboa among others who are rarely selected.Mauritian players abroad too are rarely selected now while they were long ago.Players in reunion island like naboth,godon,jerry louis ,in france periatambee(one of our best player),ragaven,bru,khodabaccus,thierry driver ,in england mooniaruck and in australia thierry boi,christopher driver ,who play at higher level but are unfortunately forgotten.The new DTN desbouillons should organised trips in france and make the u20 team play tournaments there in order to be scouted by french recruiters(It’s like that periatambee was spotted by guy roux) .The MFA should spend more money in those events instead of paying air tickets to its members who mostly,care to their personal interest in place of the mauritian football. I definitely agree with martin. thats wat i am saying since the start of this blog. Mauritians….pffff….kan zot pu developer do ta. prend exemple mayotte do ta. I live in Botswana and want to get our group of mauritians that live here to support the Curepipe starlight team who are playing here this w.end,kindly fwd some details to get in contact with members of the team be it players,coaches,supporeters etc. Finally a professional football league will exist in Mauritius!!! Now am sure that our football will progress!!!! You talk sense, the island is too obsessed with the English Premier League which is not healthy for the domestic league or even for Club M. The other factor seems that there is a lack of government funding. I don’t think I’ve seen anyone wear a domestic shirt whilst being over there, mainly utd shirts! My father is from Poudre d’or (I don’t think Poudre d’or have a team so my Mauritian team is AS Port Louis 2000. I am currently writing a blog about Mauritian football http://maurifootblog.blogspot.com/ (finding the information is very difficult!) If you have any that you would like to contribute, feel free to let me know. there is a team in Poudre d’or! its Poudre d’or ATC! The team was in the national 2nd division recently and had been relegated! Thanks Amit I didn’t know that! Hopefully they get promoted! Have you tried to call them? My name is David Gyimah Darfour,am from Ghana and would want to play for AS Port Luise 2000.I am a very good striker and would want to play for the Mauritanian national team to and help them improve with my talent so can you get me in contact with AS port luise 2000 or get me their contact numbers,,,I would be grateful to u thanks. I have a group of talented playerss that I manage and I will be happy if we are able to secure some opportunities through your platform to try them out for possible playing deals. Hi Patrick, this is just a website, not a platform… Try to contact the clubs directly. Thanks.